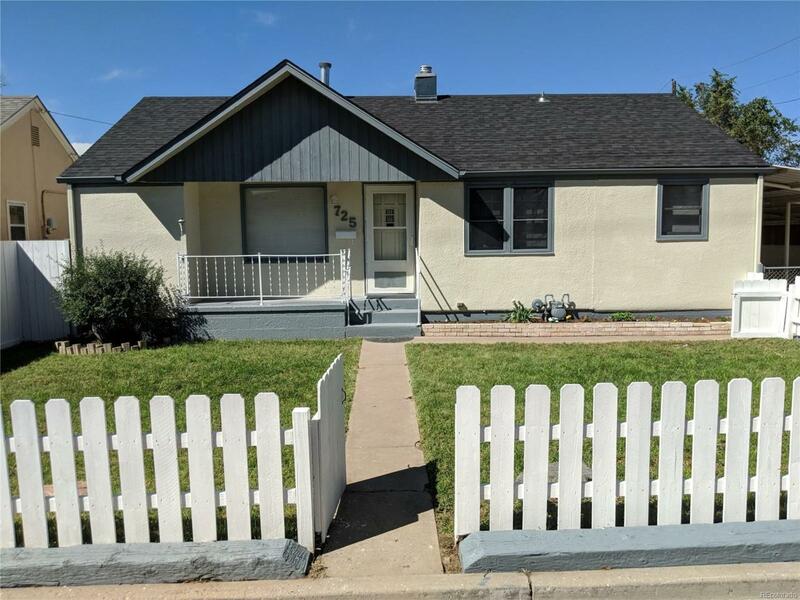 Beautifully remodeled South Side rancher with easy access to I-25 and Pueblo Blvd. This home has a new roof and gutters, white picket fence, newly landscaped front lawn, new tile floors in kitchen and bathroom, custom kitchen countertop and backsplash, gas stove, restored hard-wood floors on main level, new carpet in basement bedroom, and fresh interior and exterior paint! The extras include a dog pen, privacy fence around the backyard, a decorative stone well, full size shed, carport, and driveway! Located in a quiet neighborhood and only a half block away from a peaceful park. Won't last!